While I prepared to cancel my NetFlix subscription, I found myself watching random “Suggested For You” movies. One of my selections was Fittest on Earth – The Story of the 2015 Reebok CrossFit Games. It documents a series of grueling events that test physical strength, endurance, and mental stamina in order to crown the Fittest Man and Woman on Earth. This competition is No. Joke. At the outset of the documentary, we hear an announcer share that Katrin Davidsdottir (Iceland), who led after Day 1, had a disastrous Event 5, in which she placed 24th. This dropped her to 7th place in the overall standings with 8 more events to go. It was heartbreaking to see what happened to Davidsdottir. She didn’t just die physically, like the strength of her forearms and pulling, but kinda mentally as well. She was on the ground under the rope. (She) still had time on the clock. I see a direct parallel to the weight loss process. It’s not that we don’t still have time on the “weight loss” clock. It’s that we die mentally. There’s no point. I’ve already blown it. It’s just not in the cards for me. And I’ll tell you where that leads. It leads to higher and higher numbers on my scale. 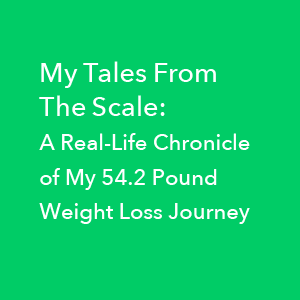 I shared recently that I had hit a plateau – for seven weeks as it turns out. I’ll tell you that during that time I certainly said “I’m sick of this” a few times. I’m even more sick of saying “F@ck it” and then gaining a bunch of weight back. I’m more sick and tired of throwing in the towel and flushing a bunch of progress down the toilet and sending a bunch of sugar down my throat and re-gaining weight AGAIN!!! than I am sick of managing that “plateau”. And I want to create health more than I want the temporary relief of saying “F@ck it” and grabbing some McDonald’s chocolate chip cookies. So what became of Katrin Davidsdottir? When last we left her, she was demoralized and breaking down. You can’t be afraid of failures. I don’t think you’re going to succeed in anything if you’re afraid of failing at it. You gotta be willing to take the risks. She went on to win the Games that year. (And the next year, too). And you can win your Weight Loss Games. Failure is part of the process. Always will be. If you’re worried about crumbling in a teary pile on the floor, that might be a problem. Because you probably will. Crumble, that is. In your own way. At certain points along the path. But that impromptu breakdown was just a stop on Katrin’s way to prevailing. To succeeding. To standing on the podium as The Fittest Woman on Earth (two years in a row). There will be more challenges. There will be trials and tribulations. And like I keep doing. P.S. 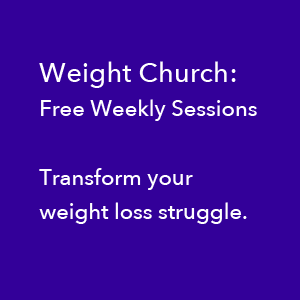 Want some help picking yourself up after a blow to your weight loss journey? I can do that. Schedule your Discovery Session now.